Nowadays is an outdoor and indoor gathering place on the border of Bushwick and Ridgewood. We offer up great food and drinks at reasonable prices alongside frequent cultural programming. We’re located at 56-06 Cooper Avenue, near Wyckoff. 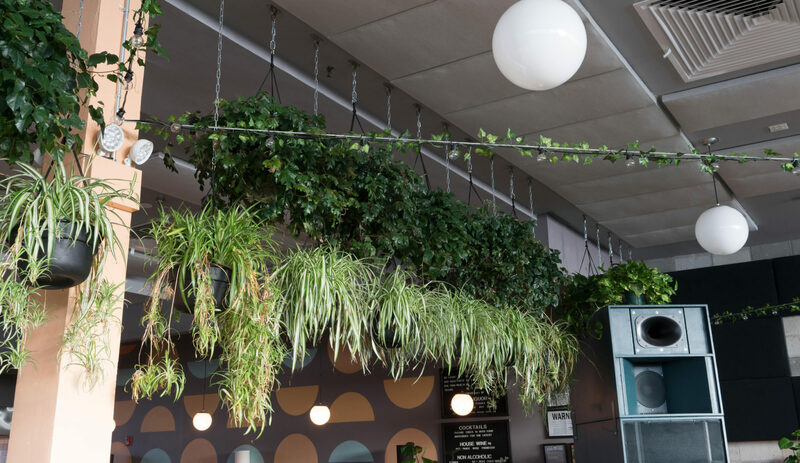 It’s always free to hang in our backyard, but we do charge a cover for some of our indoor events. There’s a cover indoors after 7pm on Thursday, after 10pm on Friday and Saturday and after 3pm on Sunday. Most of the time, you can get discounted entry by shooting us an RSVP in advance. The kitchen closes at 11pm. Nowadays was opened as a seasonal outdoor bar, restaurant, party haven and hang-out in the summer of 2015 by Eamon Harkin and Justin Carter. In 2017, they opened an adjacent indoor space to allow Nowadays to serve as a gathering place no matter the weather or the season. Harkin and Carter are the longtime resident DJs and organizers of Mister Saturday Night and Mister Sunday, two of New York’s most beloved parties. In 2017, the pair was joined by Henry Rich, owner of Metta, Rucola, June and Fitzcarraldo, which happen to be some of our favorite places to eat and drink in New York City. If you are interested in doing something special indoors at Nowadays, go here. For all other questions, please send us an email or call during our business hours.